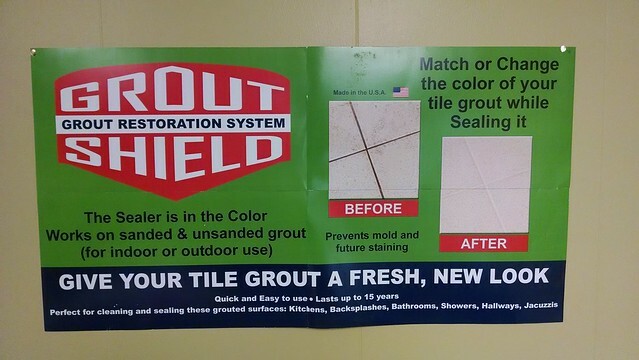 Home/Grout Shield/Grout Shield Color Seal The Easy way to make your grout look new again. Grout Shield color seal is so easy to apply … even a kid can do it! Grout Shield … The Best Grout Cleaners, Sealers, and Colorants Money Can Buy! At Grout Shield we are committed to manufacturing, and distributing the very finest grout care products money can buy. It is a source of pride for everyone involved in our company that we are putting out a top quality product, and offering service to match. While our Colorseal is, in fact, “so easy a kid could do it”, we encourage our clients to feel free to give us a call at any time if they have any questions, comments, or concerns regarding our products and proper application. We are happy to be of help!